We love a good cocktail. We’re not talking Cosmopolitan’s either – we mean real, get-that-cranberry-juice-away-from-me cocktails. 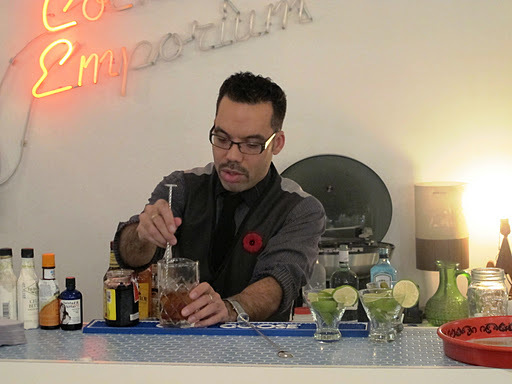 So when we heard that BYOB Cocktail Emporium (972 Queen St. W.) would be hosting a Mixology 101 class featuring the four standards – The Old Fashioned, The Manhattan, The Martini and The Daiquiri – we eagerly signed up. 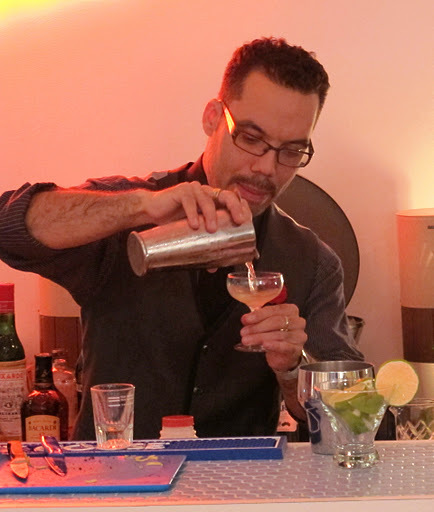 Led by master mixologist Trevor Burnett, we learned the ins and outs of the cocktail, from its inception, to prohibition, to its many (often inferior) modern-day imitations (we’re looking at you, Appletini). Mixology 101 is not the place to be shy. Burnett called on participants, awarding each helper with a piece of cocktail paraphernalia. You’d think putting a bunch of things in a glass and stirring would be easy, but there really is an art to the construction of a cocktail. 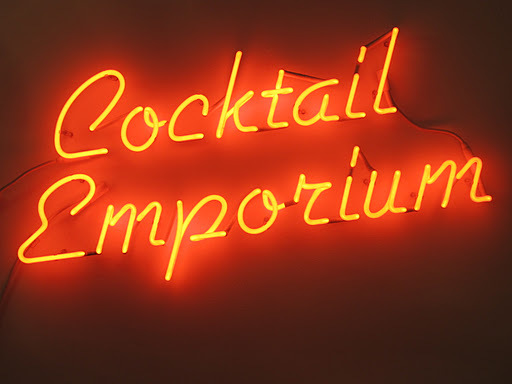 Read on to learn how you can become your own favourite bartender. Making a good Old Fashioned requires patience and orange Angostura bitters. Soak one sugar cube in 12 drops of orange bitters. Squeeze orange zest (from the peel – not the white stuff) into the glass and let drop. Add 1.5 oz. of bourbon. Add 1.5 oz. of soda water. Give the drink a slow stir. Don’t “bruise the spirits”. Garnish with an orange slice and cherry. 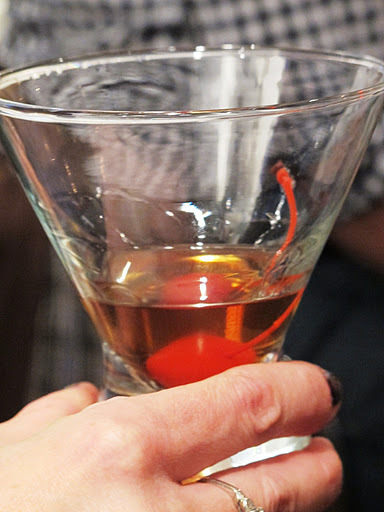 The original Manhattan was made with bourbon, but was switched to rye during Prohibition when Canadian Club was smuggled into the US (seen Boardwalk Empire yet?). Chill glass until cold to the touch. 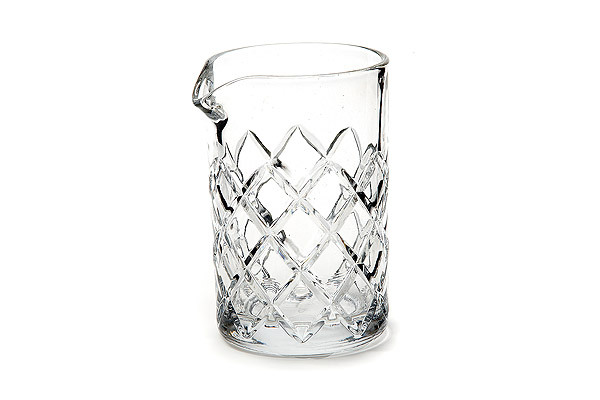 Fill a Yarai glass (or something similar) with ice. Add a 1 oz. of both sweet and dry vermouth and stir. Add 2 oz. of bourbon and stir. Add cherry juice or liqueur and stir. Strain into chilled glass and garnish with a cherry. The secret to a perfect martini is in the stirring – don’t shake so hard! Be gentle. 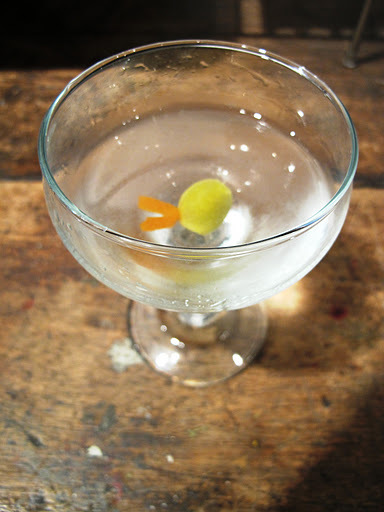 And if you like your martini dry, try coating your ice in vermouth and then straining before adding vodka or gin. Pack your shaker ¾ full with ice. 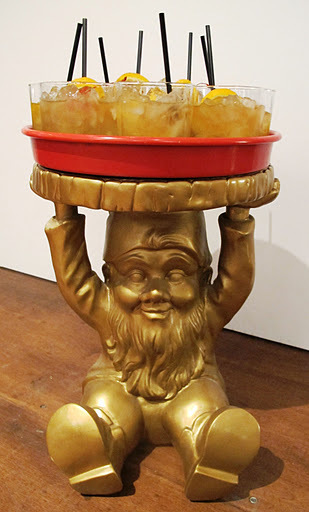 Pour dry vermouth into the ice and stir. Drain vermouth and keep the ice in the shaker. Add 2 oz. vodka and stir. Strain into martini glass and add lemon zest or olive. The daiquiri was a hit with the class, thanks to Burnett’s homemade strawberry syrup. We’ll never be satisfied with the slushy version again. Add 2 oz. white Rum. Add ¾ oz. fresh lime juice. Add ¼ oz. simple or flavoured syrup. Shake and strain into glass. 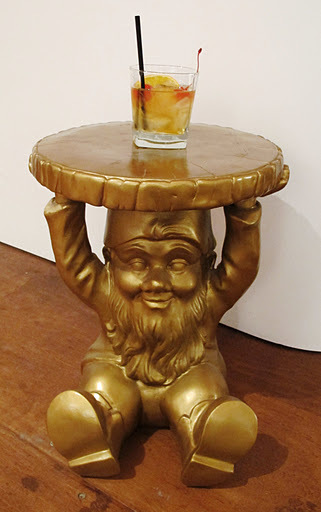 Of course, it’s always important to use proper glassware when serving cocktails – presentation counts. 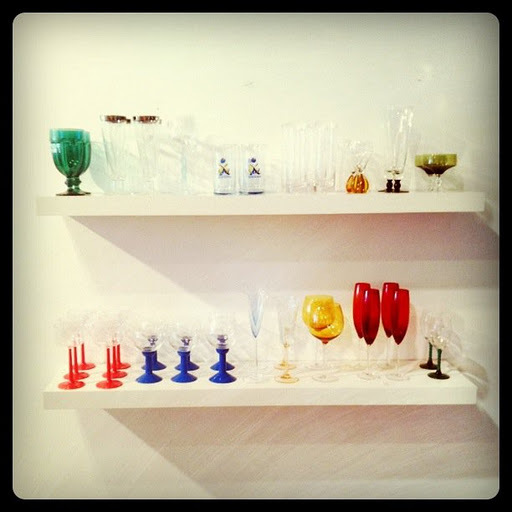 BYOB has a great selection of curated vintage glassware along with everything you need to create these cocktails at home. Owner Kristen Voisey said the next Mixology class will take place early in the new year with plans for some specialized classes as well (Tiki drinks, please!). Participants pay $45 and can expect to get hands-on training and samples of each drink. For more information about BYOB (including hours) and updates on Mixology classes, check out their Facebook page.